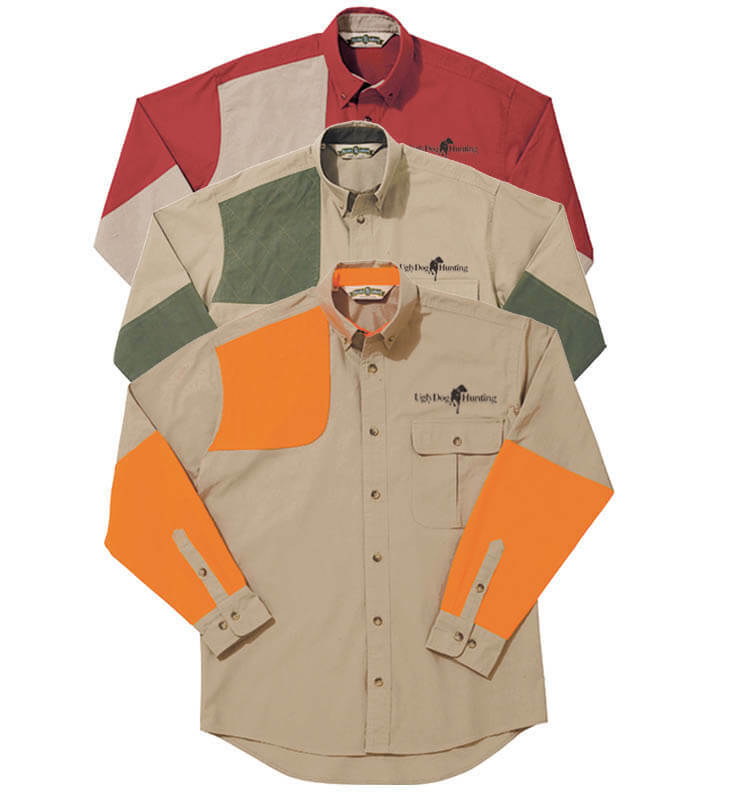 Classic uniform for serious hunters: This 100% cotton Bob Allen men’s upland shirt has reinforced forearms and a shooting patch, not to mention darn good looks. Button-down collar, cuff, and sleeve buttons. Sensational logo free of charge. Sizes: M – 3XL.